How to Delete Junk Files on iPhone Easily – iMobie Inc.
With time and use, you iPhone can get full of junk files, how can you remove them? Read this post to learn a quick way to delete junk files on iPhone easily. Install PhoneClean to your iPhone so that you can get a better experience of its fantastic performance by following the guide below. Do you get excited whenever a new tweak or app is available for download on App Store? Every day we find different kinds of tweaks and apps from various categories. However, with all the everyday downloads, you may find the speed and fluidity of your iPhone operating system is badly affected. Moreover, the latest OS for iPhone iPad, iOS 9 is coming out this autumn which brings about a set of new features and apps like News, iCloud Drive, Move to iOS etc. You may need to clear the junk files on your old iPhone to get well prepared for iOS 9 update. That is because iOS keeps caches, and files that build up over time. These so-called junk files always slow down the performance of your iPhone and meanwhile swallow a lot of space you value most. So it's time to refresh and clean up your iPhone now. Here, PhoneClean is your best choice to delete junk files on an iPhone. - Temp files used for apps calculation and data exchanges. - Downloaded pictures, videos, audios and other caches files. - Cookies and script files used to record users' log-in info. - Corrupt files due to interrupted downloads. - Temp files in Users Storage Directory generated by third party apps. The unnecessary files PhoneClean can clear for you are far beyond the examples above. Want to experience its full range of functions? Why not get a free trial at once? 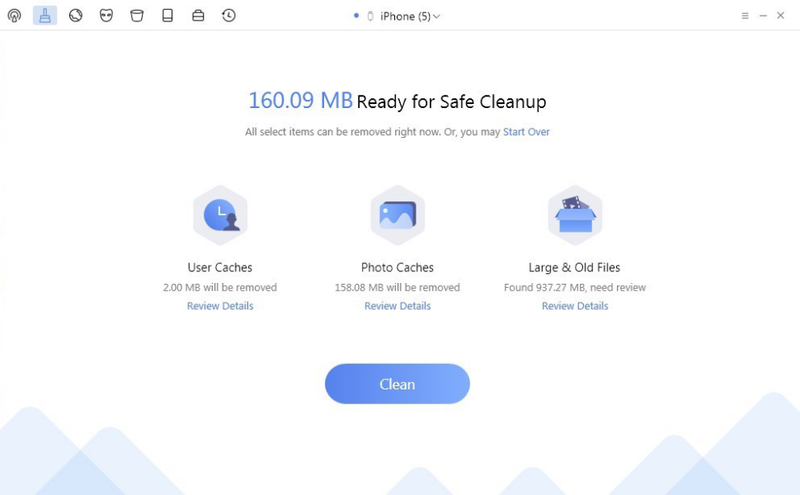 The Quick Clean is an unique and classic feature brought by PhoneClean, which you can make use of to delete a variety of junk files, including App Caches, App Cookies, App Temp Files, iTunes Radio Caches, User Storage Files, Photo Caches, Large & Old Files etc. 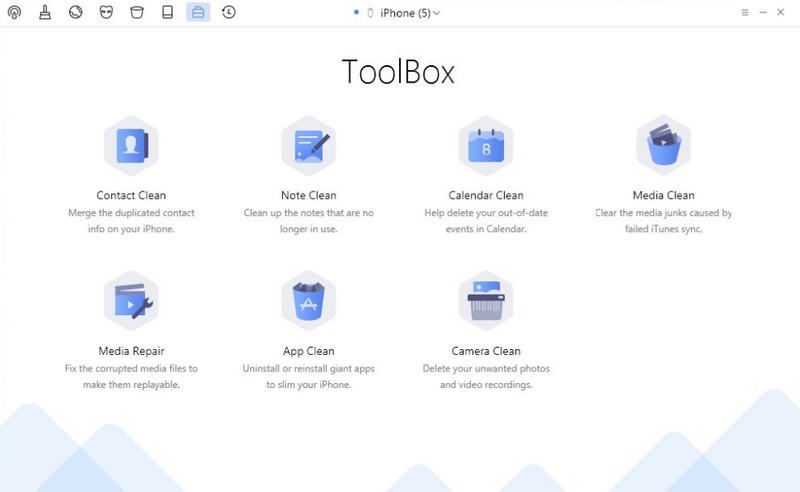 As the failed or unexpectedly terminated iTunes syncs will generate temporary or corrupt media files on your device, you can resolve it to the "Toolbox" of PhoneClean. Click "Toolbox" > Click "Media Clean" > Select the corrupt files > Tap "Clean". 1.If you want to delete messages and the correlative files in iMessage/SMS, you can use Privacy Clean. 2. A routine clean with PhoneClean will help you reclaim up to 40% - 60% storage space, a big deal to the 8GB/16GB devices. 3. Before deleting them from your iPhone iPad, you'd better make sure that you have transferred the important files to computer. You can follow us on Twitter, add us to your circle on Google+, like our Facebook page or share your thoughts about PhoneClean in comments section below. Now download PhoneClean to start a daily cleanup for your iPhone.